Mutual Fund Investing – 7 Mistakes to watch out for! 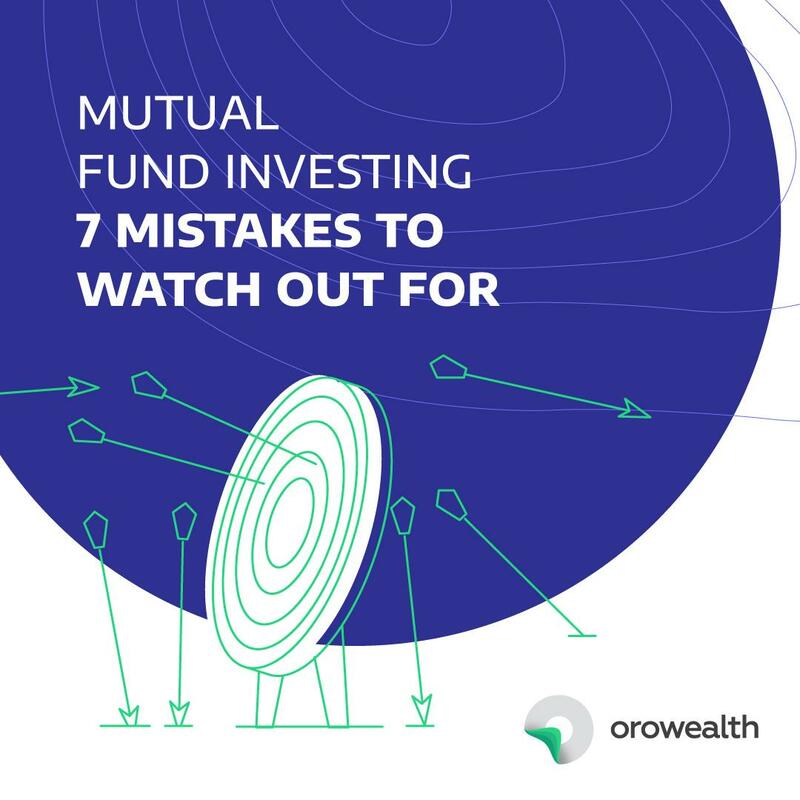 Home > Direct Mutual Funds > Mutual Fund Investing – 7 Mistakes to watch out for! Equity and mutual fund markets have captured the imagination of investors for decades. No expert can claim to have mastered the art of investing. But seasoned investors swear by patience and observation. If you are a new investor, it is easy to get swayed by all the news of runaway profits. But with a little practice and caution, you can make your money work for you! In investing and otherwise, you can never underestimate the need for planning. More so, when you hard earned money is involved. Planned investment always serves you better than ad hoc ones. How much you can invest and where you can invest are two important questions you must answer before you start investing in any mutual fund. Step 1 Make a simple excel projection that captures your income, expenses, and savings. Step 2 Project your future financial goals. Factor in inflation. Remember that Rs.10 Lakhs after 10 years will buy you much less than Rs.10 Lakhs today. Any money that you need in the near future must go into safe investments i.e Debt mutual funds. Any savings that you can put away for a longer term can go into equity and other mutual funds. At any given point, your favorite mutual fund house will have about 30-50 funds running. Most new investors end up selecting the funds that made maximum returns in the past year. This would be a gross mistake. Every investor is different. You have to choose a fund that suits your investment profile. Money that you may need in the short term could go into mutual funds that mimic your savings bank account, but still, give you a slightly higher return. So look for funds that give you Safety of your investment, Consistent returns and Ease to pull out when you need. Technically you can redeem or sell your mutual funds anytime. But you should take into account capital gains tax and exit costs. The best thing is to stay focused on your financial and allocation plan consistently invest in the right funds. You will find mutual funds declaring time and again “mutual fund investments are subject to market risk” This also means past returns are no guarantee for the future. Experts will tell you investing – especially equity and equity mutual funds is a matter of patience. So during your research to select a fund look at 3,5,15 years returns it generated. A fund that has given a consistent return over this period is a good one to look out for. It is also necessary that you choose a fund that has done better than the benchmark and its peers consistently. Taking a long-term view will account for some ups and downs in the market and give you a reasonable average return to expect. This long-term view will also make sure we account for changes in fund managers and their performances. These days at the simple click of a button you can get these transactions done. Also, if you chose the right platform you can even get customized advise along with a software application for transactions. Going direct still means you are responsible for decisions on your investment. It is prudent that you read up as much as you can on the portfolio, the markets, basics of investing etc. You should visit your investments monthly and quarterly to see if you need to make changes. Every equity mutual fund holds shares of 30-50 companies at a time. Suffices to say you are well diversified if you invest in 1-2 good mutual funds in each category. It could also happen that you have bought funds over many years and are now sitting with a portfolio of 20-30 mutual funds! If that is the case, from time to time look at consolidating to fewer funds. You can do this by booking profits and shifting money from different funds to fewer categories. Keep an eye on your portfolio and make changes as and when required. Do remember the taxation on your investment before making any decisions on selling or investing. The fund may claim a new industry type or new strategy type. It makes sense to read up on the details when such a fund is launched. Remember you are focussing this investment into one small niche. So it could also carry some risk of losses. You may want to invest a little of your equity mutual fund allocation in such a fund if you expect good results from that theme or the fund manager. But like mentioned time and again, all your decisions on investing should come from your financial plan. If it suits your financial plan, you could look at it. Otherwise, don’t. You can get consistent and reasonable returns by investing in pure equity mutual funds too. It just needs some research and patience. This is a grossly incorrect notion. Whether a fund is new or not, the return you will make depends on the pricing of the underlying investment. That means, even when a new fund is launched, the fund manager invests in the same shares available in the market as every other fund. So you are not getting the investment any cheaper than other funds. New fund offers are made at Rs.10 per unit. This may sound cheaper than the Net asset value or NAV of an existing fund. So the best strategy is that you don’t compare NFO price and NAV. Invest in funds that have been around and have shown consistent returns above their peers. This is most likely because of the fund manager’s expertise and the due diligence of the fund house. It is important to note, that you should look out for changes in the fund manager of all your investments. Some managers are better than the others. Investing is not an exact science. It takes patience and studies to master this. Despite all the expertise, many still make losses now and again. If you stick to a few basic rules and your financial plan, on the whole, you can create and maintain a healthy portfolio. Your money will grow and complement your income equally, even help you when you have the need.